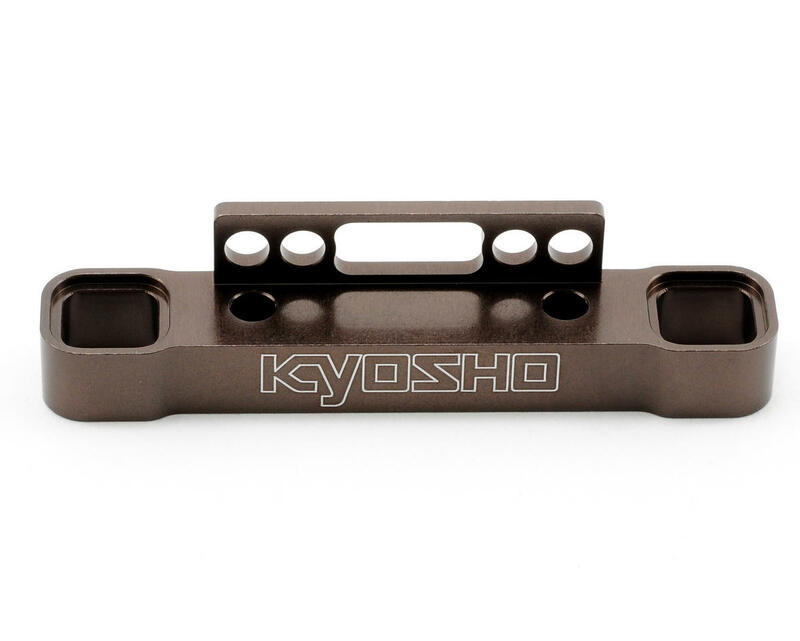 This is a optional Kyosho CNC 7075 Aluminum Rear Toe In Plate, intended for use with the Kyosho MP9 1/8 buggy. 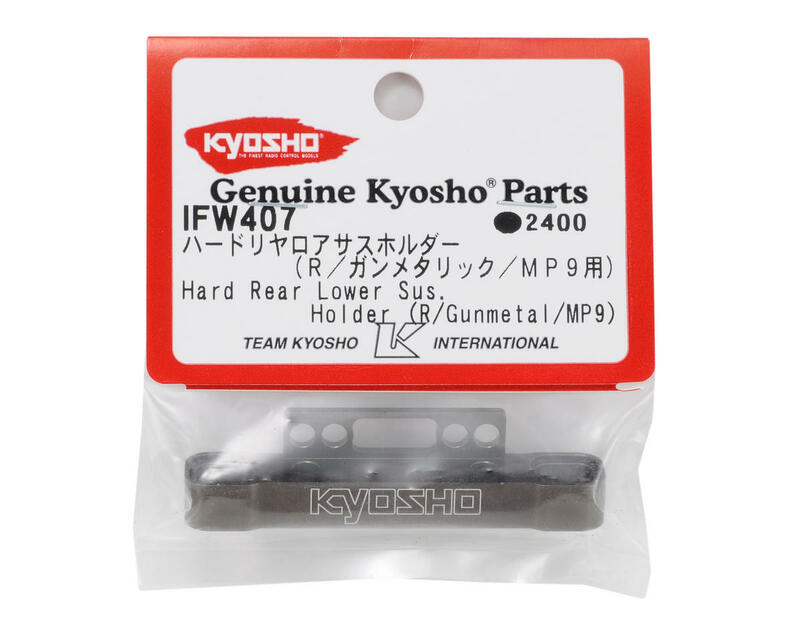 This gunmetal anodized part uses the stock inserts for adjustment, and will increase the strength and rigidity compared to the stock plastic part, while remaining as light as possible. Do yourself a favor and buy the Fioroni counterpart to this. It has an extended lower edge that meets flush with the end of the chassis helping HEEPS with protection and longevity of the rear of the chassis. Its pretty much stupid not to run the Fioroni part in this case.